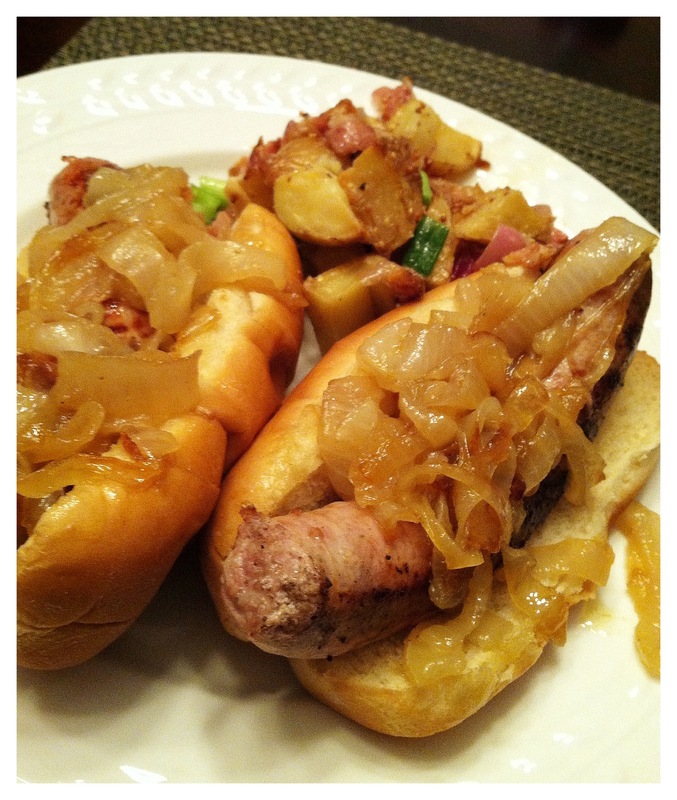 Tailgate Onions for Bratwurst | Kitchenpants! Y’all are going to think I never eat anything healthy. I promise I do – it’s just that blogging about my morning fruit smoothie (dump random fruit into Vitamix and add kale, flax, chia, and a splash of juice) is…well…eh. Would you like to hear about how I expertly toss steamed broccoli into my pasta along with some grilled chicken? Probably not. My day-to-day meals are boring. They fuel my life and my runs and they taste pretty decent…but that’s about it. Nothing exciting. These onions, on the other hand…well. Yes, please. They are fabulous for topping bratwurst, hot dogs, or any other kind of sausage you like. They also work for burgers, steak, or chicken. The key is to make them right before you want to serve them. (Yes, I know I called them “tailgate onions”…those of you who are tailgate pros can keep them hot, and the rest of us can serve them at home. I will give you reheating instructions at the end of this recipe.) The onions take about 45-90 minutes depending on the heat you use and your preferences. 4-5 onions – softball size. I use Texas sweet onions, but you can use Vidalia onions or whatever you have available to you. 2 32oz cans of beer – You will use about 48oz. I just buy the two big boys because I used relatively inexpensive beer and this is the cheapest way to buy it. Think Miller High Life, etc. Slice your onions into rings. It doesn’t matter how thick or how thin your slices are. Place the onion rings into a container and cover them with beer. Remove the onions from the fridge about 30 minutes before you are ready to cook them. 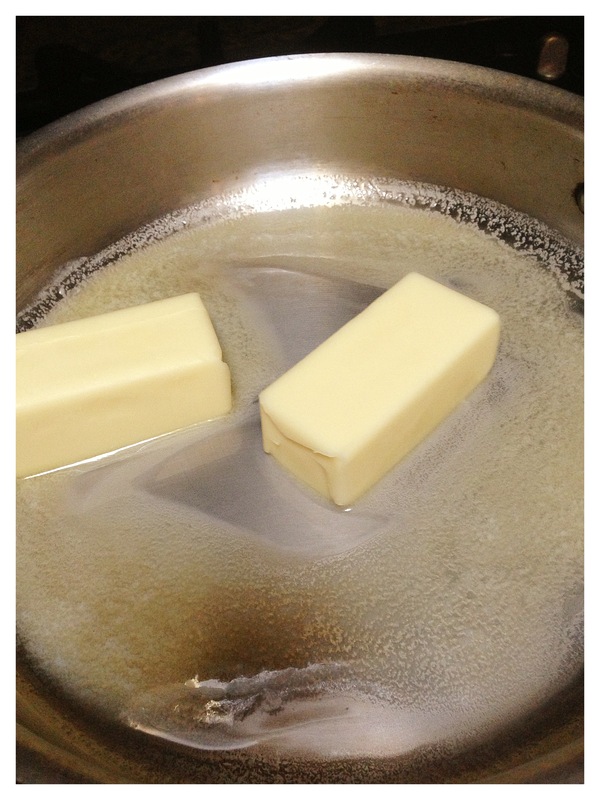 When the butter has just about melted – you see a little solid left – add the onions. Hold on! Don’t dump them in. Use your tongs and add them a bit at a time. They will take up the entire pan. That’s ok…they will shrink down. Sprinkle the onions with Lawry’s. Use as much as you like. I usually start with one tablespoon and then add more as I need. Stir the onions around and try to coat as many as you can with the butter. Add the beer that the onions soaked in until it covers the onions or comes to about the lip of the pan…whatever comes first. When the mixture starts to bubble, turn the heat down to medium and let the onions cook. Smell. The butter and onions and beer smell amazing. Stir the mixture occasionally and let it cook down. 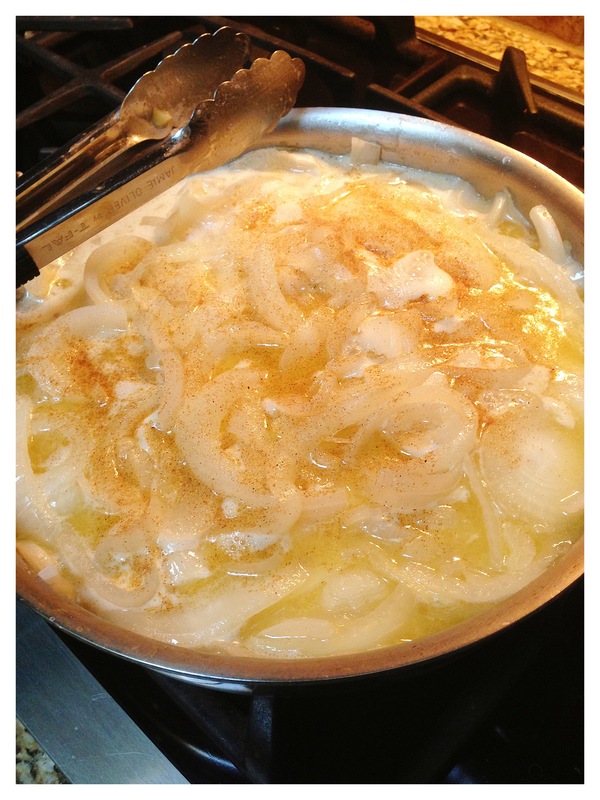 The onions will gradually acquire a golden hue and eventually, they will caramelize into a warm light brown. Taste the onions throughout the process. If you need more Lawry’s, add it. 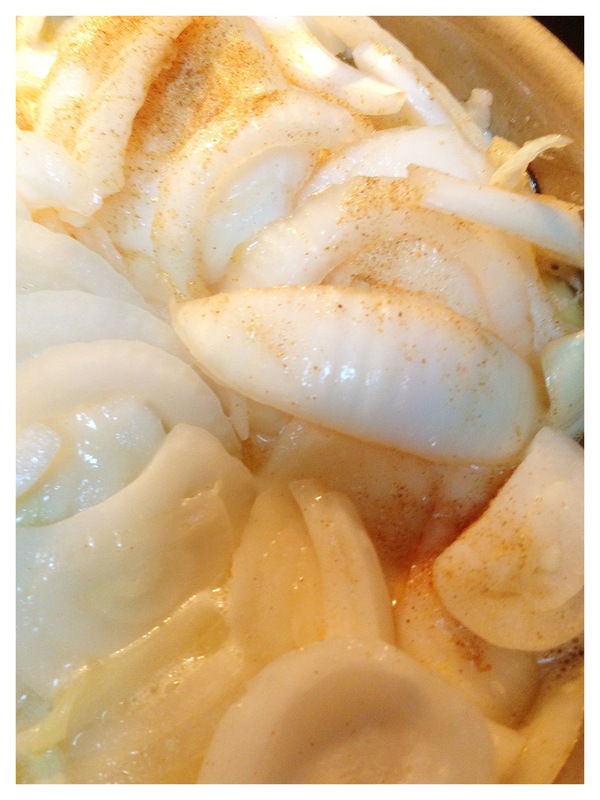 The onions will be done when they are the right color and consistency: caramel brown and absolutely fork tender. They shouldn’t fall apart, but your fork should make them break. You can, of course, cook them until they suit your preferences. The butter/beer mixture should not evaporate completely. When the onions are done, spoon them or tong them onto your meat of choice. For reheating, place onions in a soup pan and heat on low until heated through.